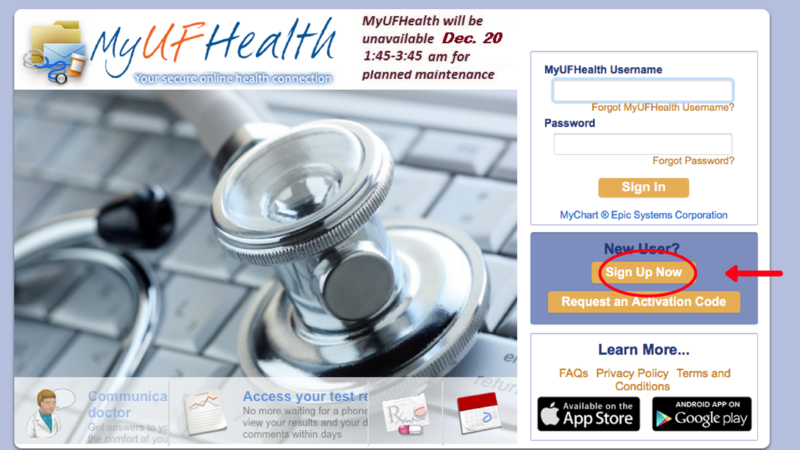 MyUFHealth is a free online portal designed to give you convenient access to your health care information. Using MyUFHealth, patients can securely message with their provider, view test results and see parts of their medical record from a smart device or computer. How do I sign up for MyUFHealth? After your visit at UF Student Health, you will receive your personal MyUFHealth activation code. 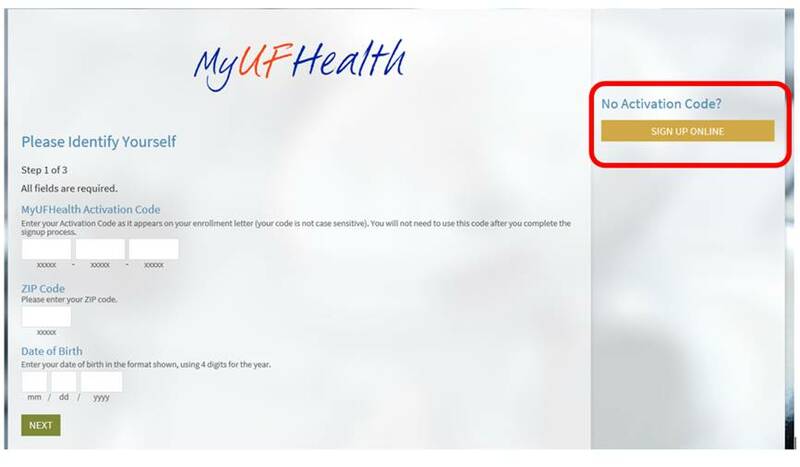 This code can be used to sign up for an account through the MyUFHealth login page, which can be found at mychart.shands.org. At the login page, click “Sign Up Now” to begin the steps to complete your MyUFHealth account. What if I don’t have an activation code? Patients wishing to sign up for MyUFHealth (MyChart) access can go through the web page mychart.shands.org and choose “New User” or “Sign Up Now” with or without an activation code. If you do not have an activation code, you can choose the option for “No Activation Code” then follow the identification process. What are the benefits to a MyUFHealth account? For more information about your MyUFHealth account and using MyChart, please visit the MyUFHealth FAQ page.